Uzbekistan is an ancient country, situated on the Great Silk Road between Asia and Europe. For centuries, traders traveled this route. 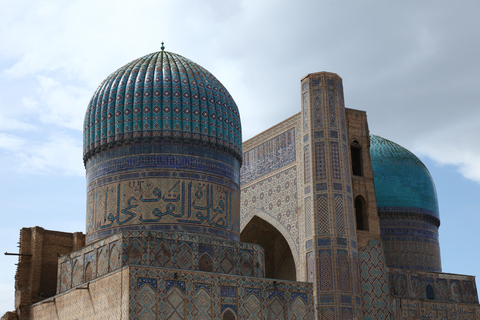 Beautiful cities, such as Samarkand and Bukhara rose up along the route. Uzbekistan came under Russian rule in 1865 until it gained its independence in 1991. As of 2013, President Islam Karimov has ruled the country. He allows no parties to oppose him and is known for his ruthless leadership style. Uzbekistan is one of the largest cotton producers in the world. In spite of this, many people live in poverty and unemployment is high. 27.8 million people live in Uzbekistan. Uzbekistan has 172,742 square miles of land. The official language is Uzbek. Islam is the main religion. The life expectancy in Uzbekistan is 67 years. Visit the BBC to learn more about Uzbekistan. Question: What other industries does the country support? Answer: The country is rich in oil, gas and gold. Declan, Tobin. " Fun Uzbekistan facts for kids ." Easy Science for Kids, Apr 2019. Web. 25 Apr 2019. < https://easyscienceforkids.com/uzbekistan/ >.